To develop an appealing comparative essay, you must consider two principal aspects of similarities and differences. You need to critically observe the attributes of the aspects to bring them out in point. The paragraphs below will elaborately discuss the main objective, how to write a comparative essay, for the purpose of good flow and meaningful argument related to the topic. You may be required to write or discuss an essay that compares different opinions, people, things or events, then you need to argue for or against a topic and bring out your case clearly. It is imperative that you analyze the topic comprehensively in order to convey clear goals or objectives of your comparative essay that bring common sense to the readers. While writing a comparative essay you should follow the basic structure of an essay that contains introduction, main body and conclusion. Introduction of your comparative essay should provide an overview of the two subjects of interest. It should state the general points that clarify the similarities and differences between the subjects. It is then advisable to pinpoint the specific or the core of the matter. This approach will let the reader understand the point you are trying to argue in connection to comparison while stating the relevance of the matters. The comparative nature should be clearly brought out by content within which your work is placed. The content may consist of historical information, biographical information, subject, problem or theory. It is vital to develop comprehensive information as it acts as the foundation for conveying distinction between the subjects. Your basis of comparison should be simple and on point. The readers need concise and meaningful basis for arguments; you must convince them that your preferred point of view is planned and not accidental. A clear reason behind the choice of approach for comparison provides your essay with relevance and acceptability; otherwise, it will be regarded barely as an assumption. Afterwards, you must prepare an in depth organizational plan. The comparison and the basis of the argument must be defined in the sequence of paragraphs in your essay’s main body. The structure of your essay should be planned such that each half of the comparison is discussed in every paragraph. In essence, you can start by comparing two situations in one paragraph then you can proceed to discuss the distinct aspects of both situations until you exhaust comparison of all points in focus. There are two types of plans that you can adopt; namely, In Text-By-Text and In Point-By-Point. In Text-By-Text allows you to schedule your discussion such that one subject is exclusively followed by discussion of the next subject in full, as well. On the other hand, In Point-By-Point allows you to discuss alternate points of one subject with comparable aspects of the other subject under discussion. If the second subject extends the first subject under comparison, it is recommended that you adopt the In Text-By-Text plan and if the two subjects are conflicting, In Point-By-Point is appropriate. A good organization plan enables you to pay equal attention to each side of the argument. It also helps the readers to conceptualize and get the insight of your comparison between the subjects. The choice of words or language is crucial in writing a comparative essay, as different essays assume variant choices of communication. Writing a compare and contrast essay requires precise indication of the relationship. The right expressions such as: similarly, conversely, likewise, on the contrary, moreover, on the other hand, and other contrastive vocabulary can be used when linking two subjects under comparison. Appropriate language enables you to logically and systematically design the body of the essay and bring out a clear comparison and contrast. To conclude your comparative essay, it is advisable to write a general and brief summary about main similarities and differences related to the topic. You can end a comparative essay with your personal opinion or statement that will give the readers a reflection of what they have understood. Conclude a comparative essay with your personal opinion or statement that will give the readers a reflection of what they have understood. It is important to take time to proofread the content of your comparative paper. This will allow you to find and rectify mistakes thus making your essay a desirable piece of work. In sum, by considering all the points mentioned above, you should organize your thoughts and compare the topics appropriately to make the essay easily understood by a common reader. 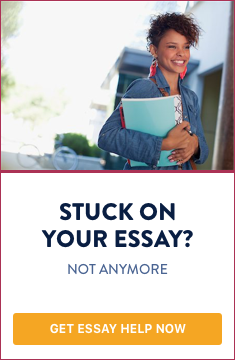 Do you need help with writing a comparative essay?